This book is a must have for industrial designers, design historians, and those curious about the world of product design. 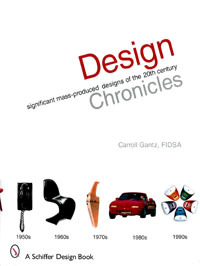 Design Chronicles provides an overview of design from 1900 to 2000 as well as a year-by-year discussion of key products. This book provides a context for design inthe twentieth century and is a great resource for the full-time design practitioner and for the design educator alike. The information in Chronicles is the result of years of careful research by the author.